CDS’s excellent solutions for Gaming Displays (and casino screens) offer you excellent alternatives to the sometimes inflexible large multinationals which have a small range of standard products. Broader Gaming component distributors who are often known for having limited understanding and experience of Display solutions, and we even offer an excellent alternative to Far Eastern supply where the quality and reliability can be inconsistent. The unique range of gaming, Casino and kiosk displays offer total customisation being built to the highest quality with longevity and quality at the best price being the primary focus. Custom monitors and a bespoke design are available built to your design and can be form fit and function to any major manufacturer you like, including true flat glass to glass designs or vandal resistant thick cover glasses with a professional looking finish. We have been specialising in in bespoke design for many years. Just one example where CDS saved a Gaming operator thousands of pounds on a drop in replacement 27” PCAP Projected capacitive touch monitor and an equivalent non-touch version to create the pair. The machine used a dual display system with an interactive screen at the bottom and a matching monitor at the top. CDS could save you money on gambling touch screen monitors or offer you a custom monitor that meets your exact requirements that may be the major manufacturers do not. Widest range of Gaming/Casino monitors from small size up to Ultra HD resolution monitors. 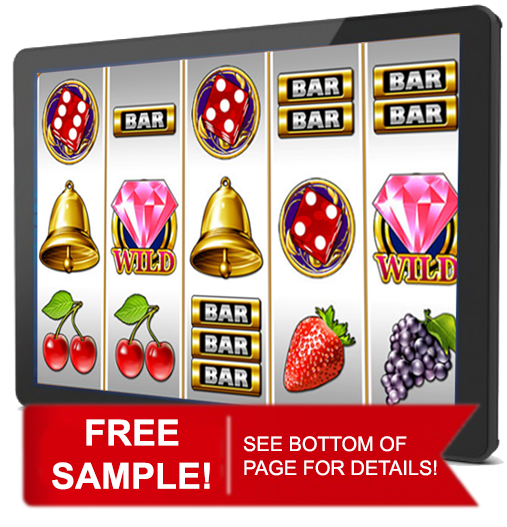 These can be simple open frame or beautifully finished glass to glass flat solutions (see images below) for your gambling touchscreens. 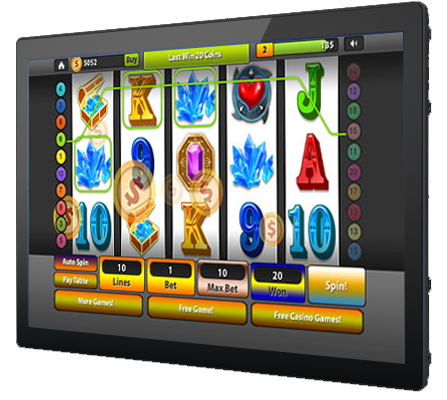 Double sided monitors for applications such as roulette winning number displays. 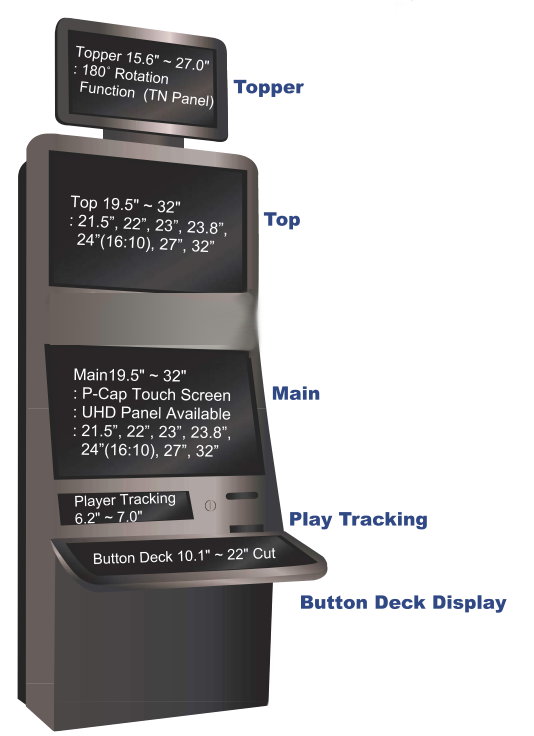 High accuracy Multi touch monitors with the touch screen of your preference. Custom solutions built to your design. Thru touch and touch foil options. HID compliant touchscreens so no drivers needed! EQUIVALENTS to all major manufacturers whilst maintaining quality levels and reliability. Optimised Power supplies and full cable sets also available. Provides an excellent solution for system integrators and Value Added Resellers. Ultimate HD interactivity, clarity and resolution. Applications include; Casino and Amusement games, retail self-service, Kiosks, Industrial Automation. CDS offer standard sized units for each screen size highlighted BUT we can develop custom options for PCT. Surface Capacitive touch screens are still the preferred touch solution for many manufacturers and but we work closely with our customers to ensure the best technology for your application! CDS additionally operates a full technical support service to assist clients with any Touch System questions. We want to be your long-term partner NOT a short-term supplier! Having problems getting spare parts for your monitors? Don’t worry CDS can supply all spares for its Gaming monitors! CDS TFTs are supplied in all the major sizes including 6.2”, 8.4”, 10.4”, 12.1”, 15”, 17″, 19″, 21.5″, 22″, 23″, 27″, 32″ and larger which are available with high quality SCT (Surface Capacitive Touchscreens), Projective Capacitive Touch (PCT) or SAW (Surface Acoustic Wave) technology. We also announced recently the release of our latest and most advanced range of multi-touch PCT (Projected Capacitive Touch) display monitors which will add enormous value to our clients’ products and applications. 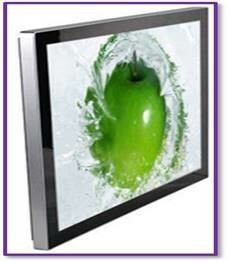 Our excellent PCT range is available in a variety of sizes including 21.5″, 23″, 27″ and 32” as well as 42″ Curved, and utilises CDS’s proven range of high-quality industrial grade open frame TFT displays. Advanced Touch Accuracy – this can be double the accuracy of other PCT products in the market, making our displays ideal for many applications including gaming and kiosk displays, and perfect for on-screen experiences relying on small touch action-points. Super-Fast Response Time – our PCT technology can be as fast as 25 milliseconds which is ideal for high-speed multiple touches in modern gaming or betting terminals. 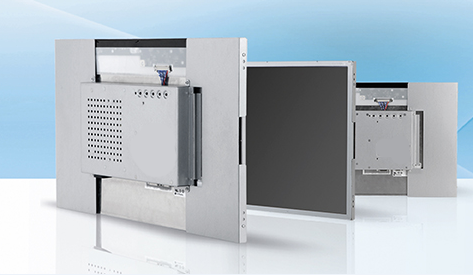 CDS is a leading European supplier of open frame industrial TFT LCD displays, both with or without touchscreen. 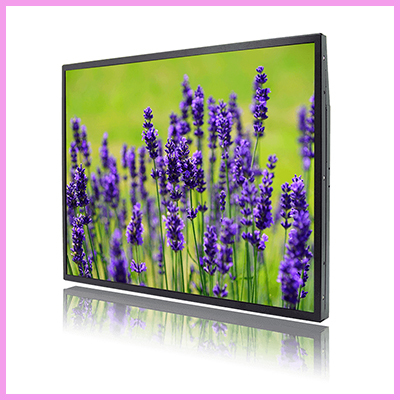 All our TFT LCD displays and monitors come with a minimum full 12 months’ warranty (extended warranty available upon request), and a focus on continuity of supply which is vital for you and our other customers and we know that! We support and service all our TFT LCD and Touchscreen products from our Main HQ as well as some of our offices in Europe. CDS has many years of experience in Digital displays, touchscreens and interface card technology from our factory as well as embedded computers specified specifically for Gaming and Casio applications and markets, which adds real value to our customers’ operations. Why should you decide to partner with us? Widest range of Gaming and casino monitors available. Full local technical and engineering back up and support. We are always introducing newer improved technologies. Stock-holding and call off facilities. Rapid Response times and quotations. Our many years of display specialist experience is critical to our customers. We want to be your long-term partner NOT just a short-term supplier. 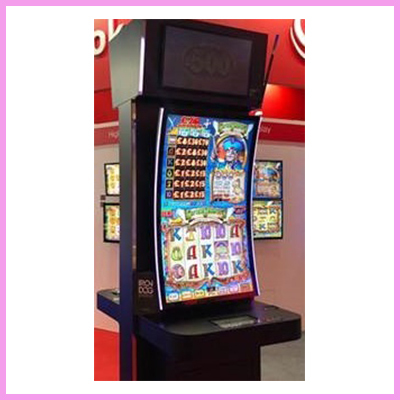 There are some similarities between the Gaming displays, Casino displays and Kiosk Display requirements which include, quality, reliability and robustness and our display monitors offer exactly those attributes. This range of smaller size TFT LCD screens are ideal for retail kiosk applications, industrial solutions, VLT and gaming. 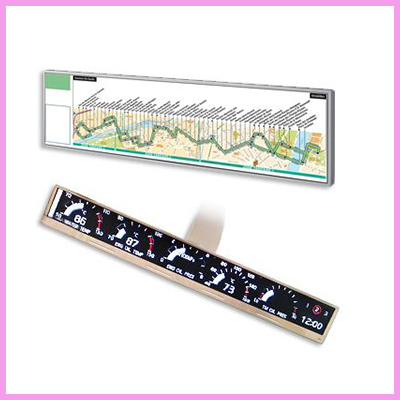 These products offer a 50,000hr electronics and back light life expectancy and as stated can be fitted with a variety of touch technologies upon request. CDS Develop, Integrate and support multiple touch solutions enabling our customers to get the best solution for every requirement. We support leading established touchscreen technologies available in sizes from 6.2” to 32”+ and can be fitted to CDS standard open frame TFT solutions. 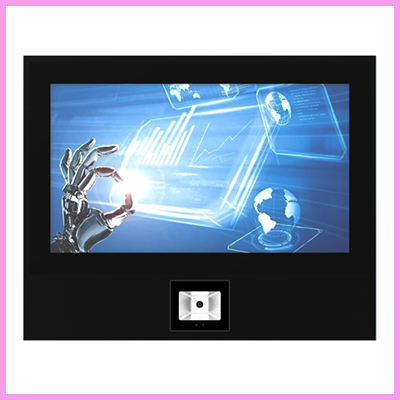 Thru-Touch next generation Projective Capacitive Touch that can function through a 6mm cover glass in available sizes 19” to 32” are also available upon request and we have years of experience with this technology. Standard PCT solutions with 10-point touch, Palm detection and touch mapping support tools are available in sizes 19” to 32”. 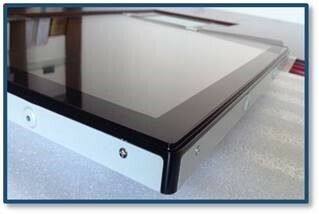 Large format 20 Plus touch point Projective Capacitive Touches is also available in sizes from 32” to 65”! We have a wide range of sizes and designs available and can even customise with touch screens and embedded media players depending on your application. 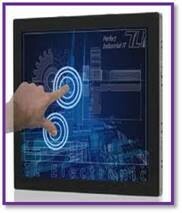 For touchscreen opportunities, we can offer a wide array of different technologies including PCAP. Our gaming monitors have full CE and FCC approvals making them suitable for use in any application. Need EETI or 3M controllers? Multi-touch, dual touch or single touch? 1. Do you have certifications for your products? A. Yes, we have FCC and CE certification. 2. What sizes do you offer in this range? A. Our sizes range from 15.6“ up to 32″ currently. 3. Not 15” 4:3 ratio? A. These 15″ are tending to be less popular and therefore more expensive so 15.6 widescreen is much better pricing for you. We can supply 15” 4:3 on a project by project basis. A. Normally it takes 25-30 days for you to receive your product but sometimes more quickly as we may have stock or part built chassis. 5. Is a media player option available in all sizes? A. Yes, now we have Media player option from 15.6″ up to 32″ with android system. 6. What manufacturers’ panels do you use? A. Normally we utilise major manufacturers Samsung, LG, AUO, CMI, and depending on their available sizes or best pricing and high quality! A. 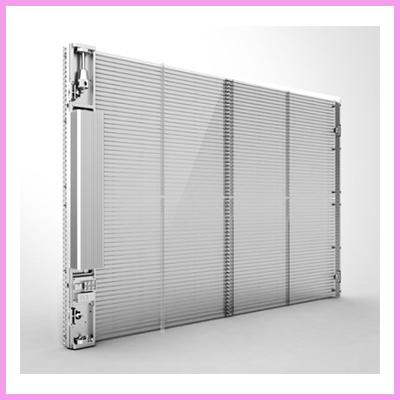 Yes we can supply panel only, kit or open frame solutions. 8. It says you supply Capacitive touch – is that surface capacitive or PCAP? A. It is PCAP as surface capacitive is no longer popular with the development and growth plus the advantages of PCAP. PCAP is the better technology. yes do you have the product code cross references? A. Send us the product you are trying to replace and we will give you the alternative lower cost option. To discuss your requirements in more detail, please click here to contact us. Options & variations of the CDS Gaming Monitor range can include: 2 sided monitor, square HDMI monitor, double sided monitor, high brightness LED monitors, custom Gaming monitors, ultra-wide touch screen monitor, large square monitors, clear touch screen monitors, infrared touch screen monitor, interactive touchscreen monitor, low cost gaming monitors, embedded monitors, commercial LCD Display Monitors, videowall display monitors, dual touch screen monitors, open frame touch monitors, touchscreen overlays for monitors, open frame LCD monitors, glass touch screen monitors, portable touch monitors, mini USB monitor touch, 120hz LCD panel monitors, slimline monitors, Digital Display screens, and low cost monitors. CDS’s open frame Gaming monitor products also include: square monitors, wide screen monitors, curved touch screen monitors, commercial monitors, square computer monitors, Industrial LCD monitors, largest ultra wide monitor, touch overlay for monitors, large capacitive touchscreen monitors, low cost touch screen monitors, one glass solutions, USB touchscreen monitors, low power LCD monitors, LCD monitor, outdoor monitor screens, multi-touch monitor, outdoor digital screen displays, 3d holographic monitor, optically bonded monitors, water resistant touch screen monitors, advertising monitors LCD, open frame touch screen monitors, square LCD Monitors, USB Touch monitor, and of course many variations of touchscreen Gaming monitors. various Gaming Monitor sizes as you can see including: 15 inch open frame LCD monitors, 19 inch open frame monitors, monitor LCD 17 inch, 32 inch curved monitors, 43inch touch screen monitor, 49 inch curved monitors, 22 inch LCD monitors, 86 inch monitors, 7 inch capacitive touch screen monitors, 10 inch USB Monitor, Samsung 46 monitors, 75 inch LCD Monitors, thin frame monitors, Samsung TFT monitors, LG touch monitors, 70 touch screen monitors, glass screen monitor, 17.3 inch monitor, 3M Touch Monitors, ELO Touch monitors and Quixant monitors.